We had a really fine day last Saturday for the annual KVBC "Wake Up the Earth Ride" along the Kennebec River Rail Trail in Augusta. We had a great group of 16 riders, and far better than expected weather - dryer, clearer, and at least ten degrees warmer than predicted - at this time of year we'll cut the weathermen some slack if they err on the "right" side. Many thanks to Jim Floyd's "uneventful" ride leadership (compared to last year) and to all the folks who came out. Did we Wake Up the Earth? Find out this Sunday, when we reconvene in Winslow for a new ride along the Kennebec and Sebasticook rivers - maybe lunch, too! Happy Earth Day! "Big G's and Bare Knees" - a riverside tour through Winslow, Benton, and Clinton. START: 10:30 AM at Winslow Elementary School, 285 Benton Avenue, Winslow. HIGHLIGHTS: an early Spring ride along the Kennebec and Sebasticook rivers. Optional lunch stop at "Big G's" in Winslow. 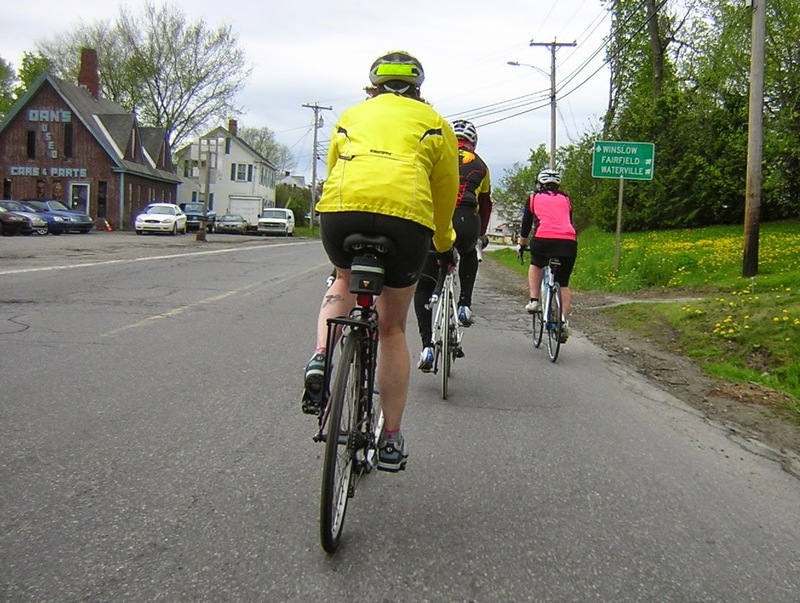 For more information on the Kennebec Valley Bicycle Club, contact Jim Merrick, 293-3784, hjmerrick@gmail.com, or check out our Facebook page.